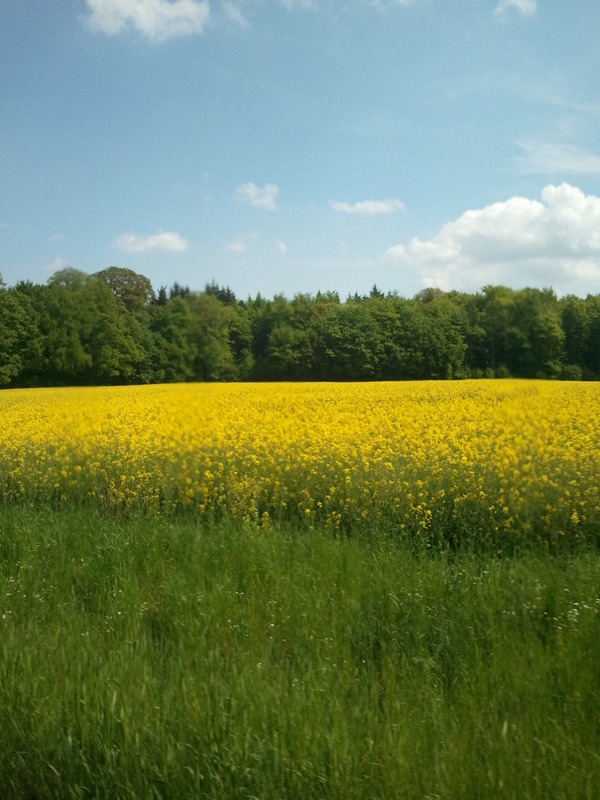 This is a typical german Scenery if you drive out of the Town. Most Landscapes in Germany are pretty beautiful in Summer. You can see a Field of Canola on the Photo above with a small Forest in the Background. Again… this is a pretty typical Scenery if you leave a german City and if you take one of several country roads. But I can tell you… never ever go near one of those Fields with a yellow T-Shirt unless you want the T-Shirt in black! 🙂 Canola-beetles would think you are Canola and many of them take your T-Shirt as a Landing Site. And I dont talk about one or two Beetles, I talk about many of them. They are funny and love bright Clothes. I thought I share this photo with you as I think it is a beatiful one.